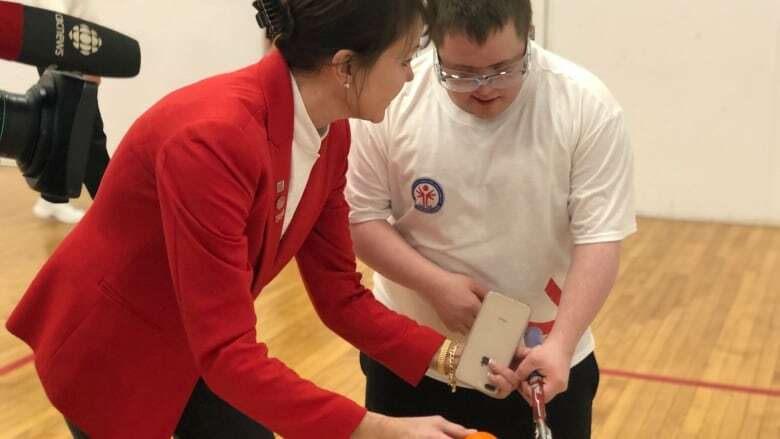 A new program in Conception Bay South wants to teach people with disabilities how to conquer the court — and it could be the first of its kind in the world. 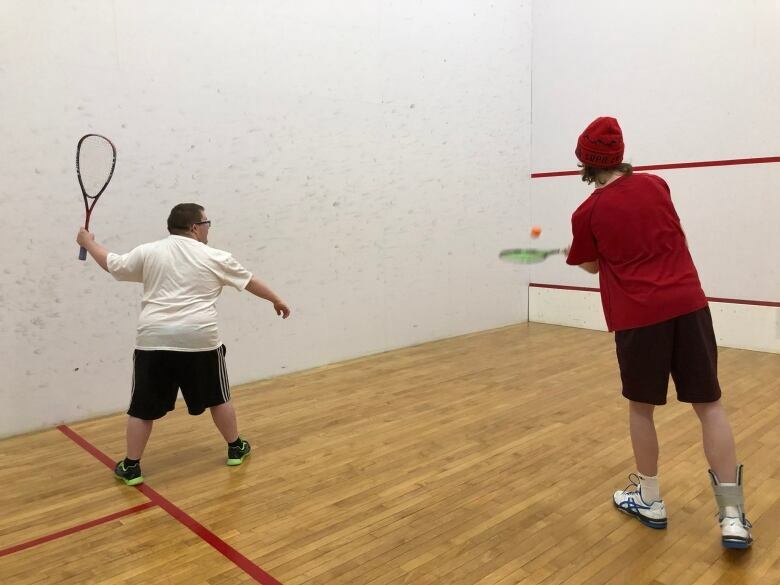 An inclusive squash program that could be the first of its kind hopes to one day volley the sport to Paralympic fame — and it's getting its start with a handful of eager students in Conception Bay South. 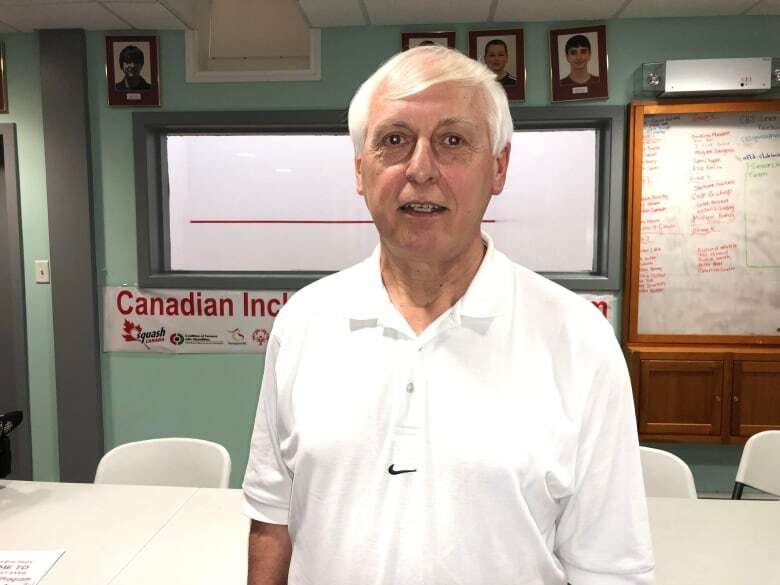 In what organizers are calling a global first, the inclusive squash program at the Conception Bay South Recreation Complex offers instruction for players of all ages and levels of disability, head coach Eric Hart said Monday. "I had no idea this wasn't elsewhere," Hart chuckled. Here, Hart will work with people in wheelchairs or living with autism — as long as they can hold a racket, they can play, he said. "We'll teach them the rules, how to hold a racket, the basic swings and what the lines mean on the court," he said. Only four students were enrolled by the program's launch and ribbon-cutting Monday night, but the coach didn't sweat it. "It's a base and we'll build from there. I'm hoping to get so many people they'll want to build more squash courts here." Hart, who also coaches a special Olympics softball team, said it was an obvious transition to him. "Squash is a great physical exercise. Some of my kids in the softball program need to work on their conditioning, and squash will certainly do that for them," he said. "It's such a fulfilling game. The ball comes back at you so quick, it's immediate feedback.… You don't get tired of waiting, [thinking] 'When is it my turn to kick the ball or bat the ball?' Every second time it's your turn." 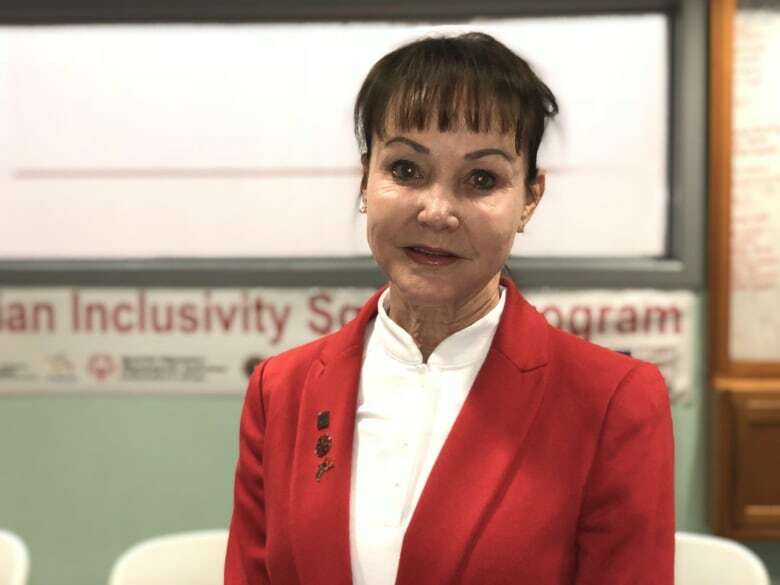 Lolly Gillen, the former president of Squash Canada and now an international delegate for the game, said she reached out around the world when the program was still just a pipe dream, to organizations from Hong Kong to Australia. "They all said they'd thought about it but nobody had done it," Gillen said. "So we're pioneering, that's what we're doing." More than 20 million people play the sport worldwide, Gillen said, a number that could grow with more programs like this one. "Just imagine if we start making it inclusive," she said. The sport itself will benefit, she added, but so too will its newest players. "I know the participants are going to find a whole new inner self. They're going to realize there are no boundaries.… This game is only handicapped by your imagination, not by your mental or physical strengths." Gillen hopes to one day include wheelchair squash in the Paralympics, calling the N.L. program a "massive" step toward that goal. She said they'll be documenting the program to give other organizations an easier way to establish their own. "It's groundbreaking," she said. "We should be giving all kids this opportunity." Luke Kennedy, 22, normally plays softball. His first time on a squash court presented some challenges. "Hitting the ball around was really hard work," he said. "I kept missing it a couple times." But it only spurred Kennedy to say he'd come back and do it again — even issuing a challenge to anyone else thinking about learning. "Come out to C.B.S.," he said, "and I will go up against you."